Every tourist who has ever been to New York has probably looked through a pair of these: mounted binoculars, often seen at landmarks such as the Empire State Building. 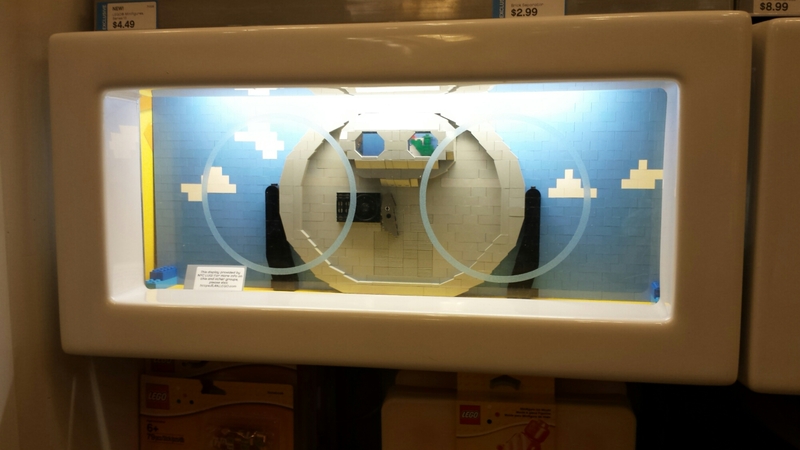 This one is at the Lego Brand Retail store at Rockefeller Center, right next to the entrance. 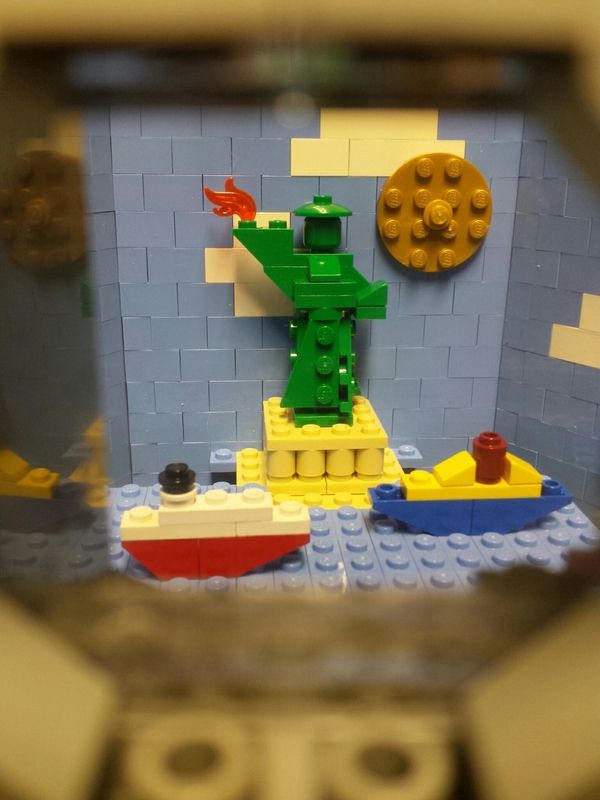 …the (mini) Statue of Liberty, also known as Lego set #40026, along with two ships in the harbor! 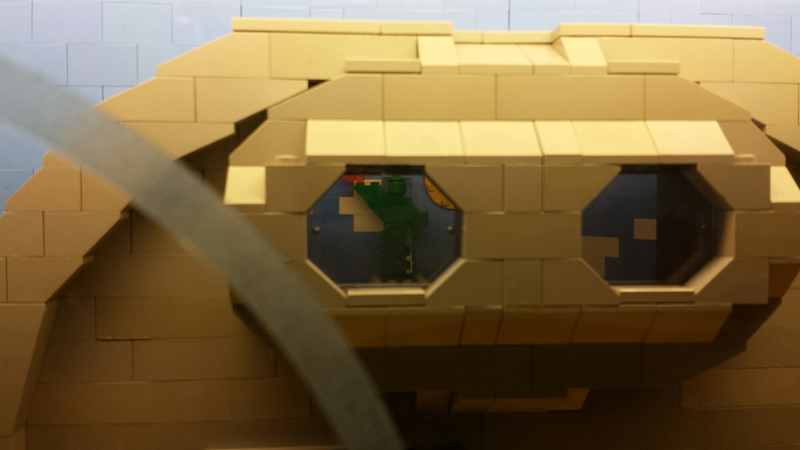 Please stop by the Lego Store at Rockefeller Center and let us know what you think!